House of Woyaks: Pat-a-Cake, Pat-a-Cake Baker MEN! Last week, I apparently purchased too many bananas and, well, I had to used them up or lose 'em. 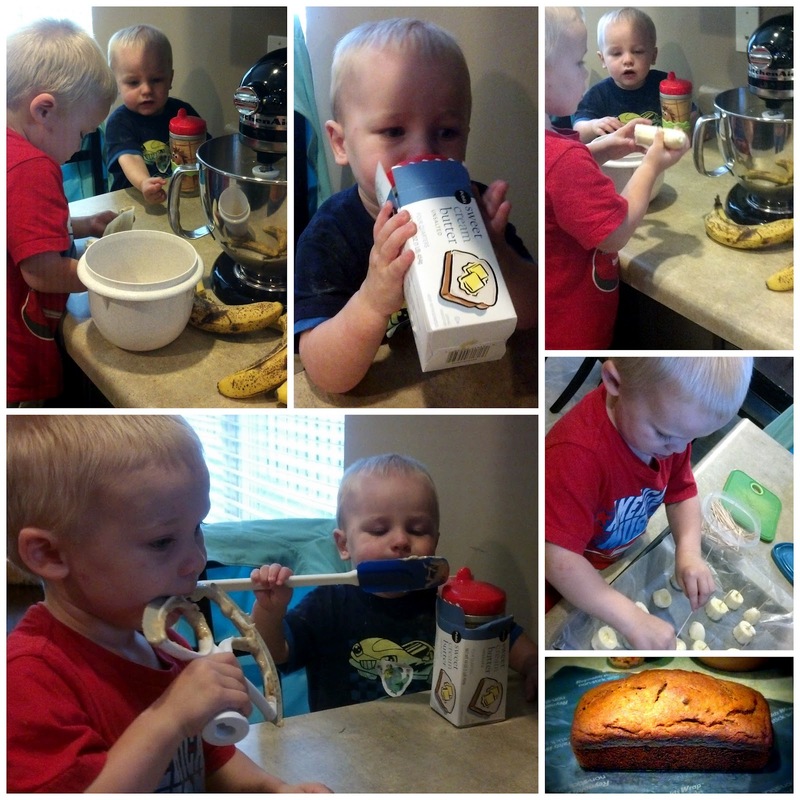 So, after nap time, Andrew and Alex helped me make banana bread and banana bites. Andrew has become quite the little baker! He is now in charge of peeling the bananas and adding them to the mix. He's allowed to turn on the mixer ONLY when I ask him. He pours in the stuff that has been pre-measured. He is just so great! Alex, on the other hand, he is the best little taste-tester and observer!